Refresh yourself in the sparkling pool, or relax in the hot tub after a long day. Great floor plan with lots of room to spread out! Awesome curb appeal, large trees welcome you home! Formal dining room is just off the entry. The kitchen & breakfast room overlook the family room at the back of the house. Private downstairs master bedroom features a semi upgraded bathroom with plenty of cabinets. Stairway leads to two huge bedrooms & fully remodeled bathroom that includes a new tub,toilet, faucet ,fixtures and tile. Close to 35E, DNT, and PGBT. 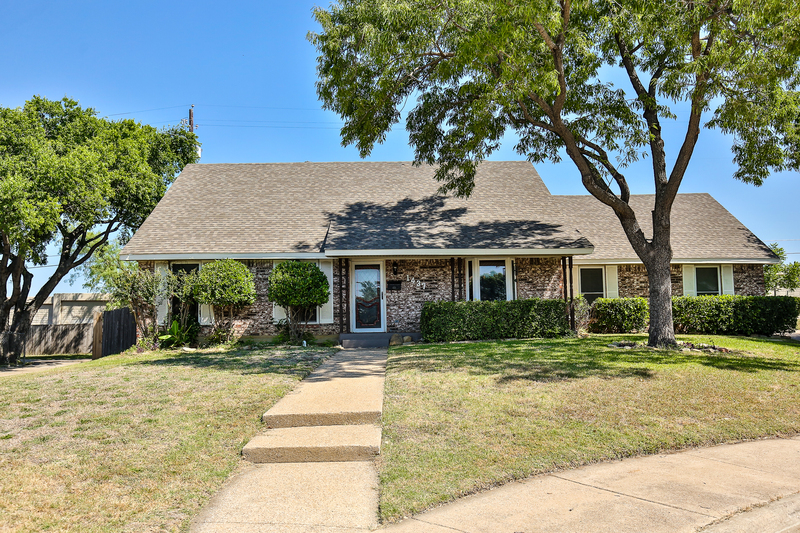 Walking distance to McCoy elementary. Nearby parks,hospitals,and shopping. Foundation work (2016) with transferable warranty. All windows replaced & warrantied.